Texas Applied Arts | The University of Texas at Austin – Entertainment production by rigorous collaboration. We are dream builders. — Student-driven, design-centered, multidisciplinary, hands-on collaboration at The University of Texas at Austin College of Fine Arts. 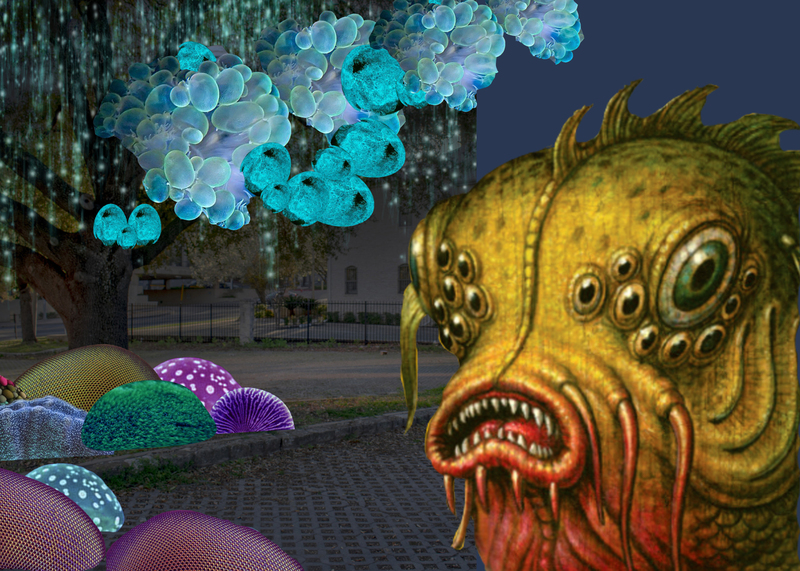 This course will build an illuminated interactive installation for the Waller Creek Conservancy’s Creek Show and UT’s Earth Day Celebration. The habitat will raise awareness of Waller Creek habitats and be seen by 1000’s of spectators. Serving interdisciplinary students interested in design, sculpting, fabrication, light control and embedded systems, the course provides Engineering, AET, Theatre & Dance, RTF, and Art students opportunities to build real- world project portfolios at the intersection of art, live design, and themed attraction. In this course students will build and test a full scale escape room that will transport players to a distressed research station on the Gulf Coast in the year 2042. Students will collaborate with game designers to design, fabricate, program, install, and test physical versions of digital game puzzles. Designs may include pneumatic and servo automation as well as imbedded systems. All will receive direct instruction in traditional fabrication, welding, surface finish, and digital fabrication. This experience will build portfolios, resumes, and leadership skills for career paths in design, architecture, live entertainment, film, gaming, and engineering. 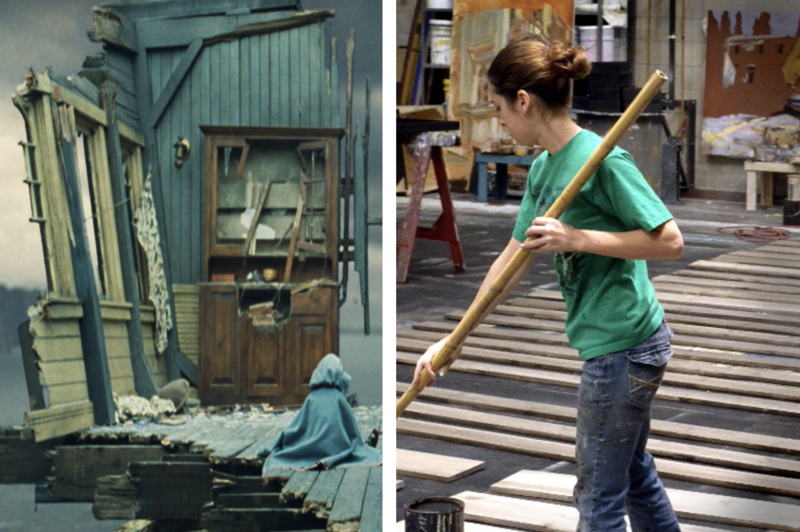 Gain hands-on experience in finishes, textures, and techniques to transform film sets to realistic convincing environments. This course is designed to develop visual communication, research, product testing, and rendering skills through independent inquiry and collaborative work on Opera, Theatre, and a mixed reality Escape Room project. 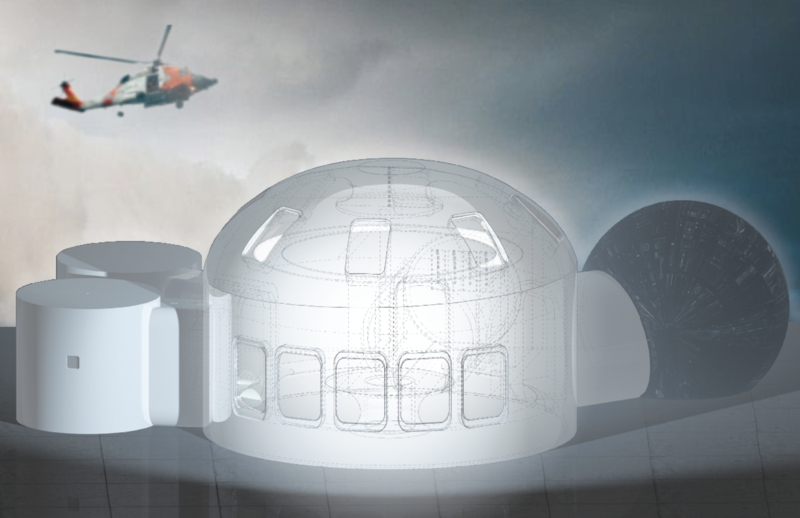 The class will provide unique opportunities to build portfolios at the intersection of Film/Television, Live Design, and Themed Attraction. 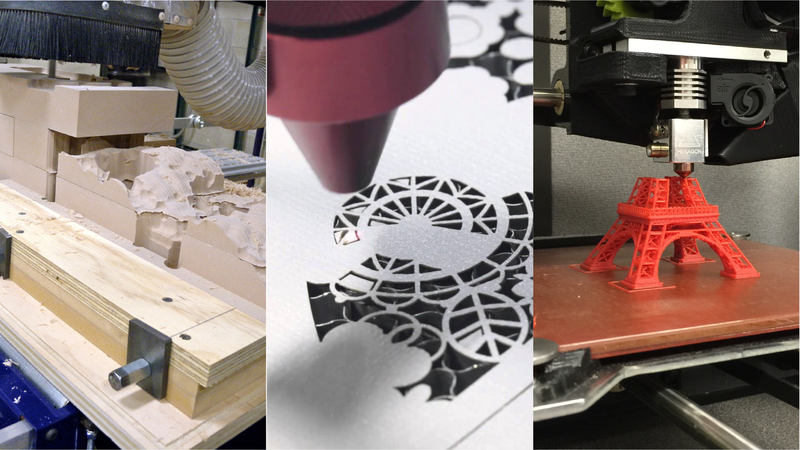 Digital Fabrication will explore common and emerging digital fabrication technologies for artists and designers. Technologies include but are not to limited to 3D printing, laser cutting, 3D routing. Students will work with diverse materials learn hands-on methods of assembly and finish. Students who successfully complete the course will know how to design and build prototypes, architectural models, and bespoke parts. Students will use these technologies to collaborate with AET 361C Physical Computing and/or AET 339 PLAI Production lab on joint projects for performance and exhibition. Working from historical story boards and films, student teams will design and fabricate a practical effect to support a narrative moment. Students will then light and film the effect in collaboration with UT film makers. All students will create “demo reel” of their completed effect. Driven by student inquiry and collaboration, 16 students constructed three “velociraptor” suits for the March 2018 production of Enron in UT’s Oscar G. Brocket theatre. Students drew upon their existing competencies and interests to self-organize into teams to determine design solutions, material choices, fabrication schedules and project mile stones.